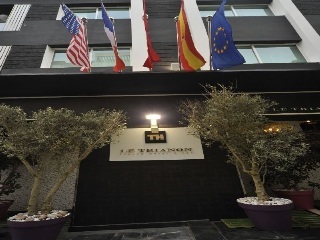 Located just a few steps away from the Parc de la Ligue Arabe, Le Trianon Luxury Hotel & Spa enjoys a convenient situation in a small street in the centre of Casablanca. 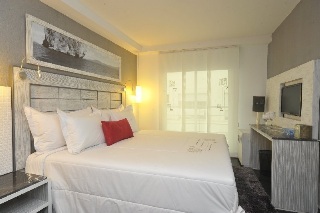 Various consulates are a short stroll away, while major attractions such as the Medina, the Hassan II Mosque, Casablanca Twin Center, Place Mohammed V and the Cathedral Sacre Coeur can be reached within a short drive.The small, excellent hotel welcomes guests in an ambience of refined sophistication and traditional hospitality. 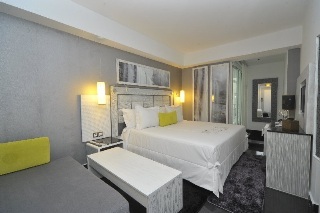 The elegantly appointed rooms and suites boast a stylish contemporary design. 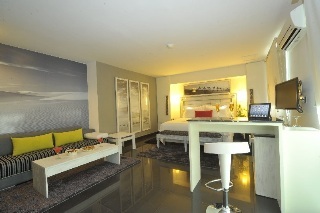 They are bright and feature complimentary wireless internet access, air-conditioning and flat-screen satellite-TV. 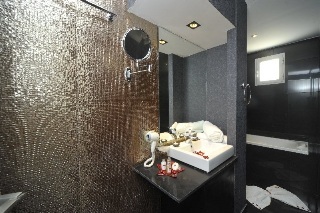 Guests can indulge in total relaxation in the fantastic spa area with sauna and hammam or work out in the state-of-the-art fitness centre. 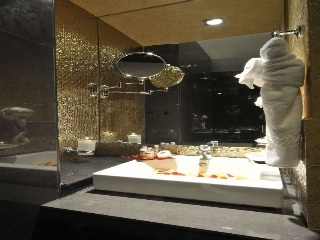 The stylish, yet cosy tea room invites to have an Oriental or Asian scented gourmet tea experience. A true gem in the city.